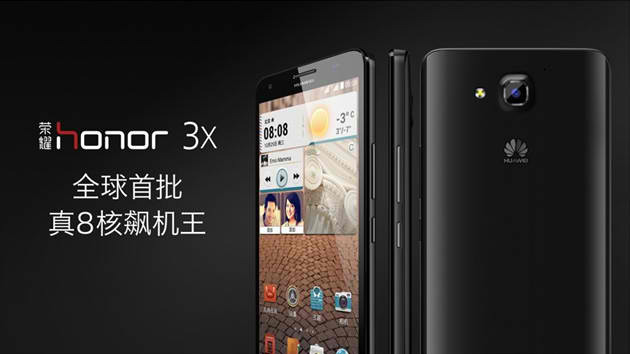 Huawei Honor 3X: One Of The Very First Smartphone With MediaTek’s Octa-Core Processor! Chinese phone manufacturer Huawei has unveiled the Huawei Honor 3X recently. But what’s so special about this phone is the processor. It is one of first smartphones to sport an Octa-Core processor from MediaTek. No word yet about the international availability of the phone.